Scrollable Picture box in Windows Form using C#. While I was working on my personal Comic Reader Application, I came across a problem which was quite difficult to find solution for. A scrollable picture box, as simple as it might sound, it quite isn’t. I used C# 4.5 version for this particular project of mine and needed a zoom in/out, scroll a large image and such in a Window Form. The solution I found out to be the most effective after spending hours searching Google results was a tad bit too simple. The PictureBox control should be enclosed in a Panel with AutoScroll property set to True. Simple as that, however the PictureBox control can easily be resized programmatically using the Dimension or Width property. New theme development for Jekyll! 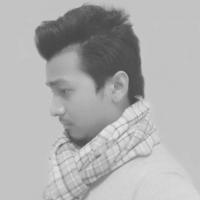 CSS Pseudo classes manipulation using jQuery.